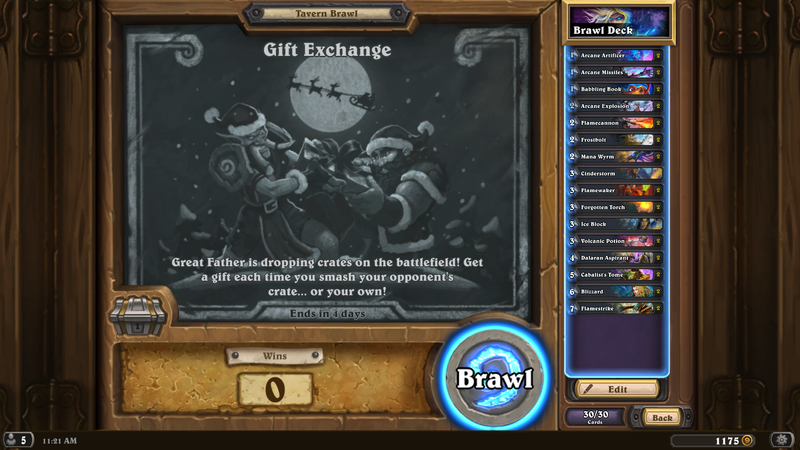 This week’s Tavern Brawl is: Gift Exchange. We have had this brawl for 2-3 years now, and it’s always interesting to see how it plays out. 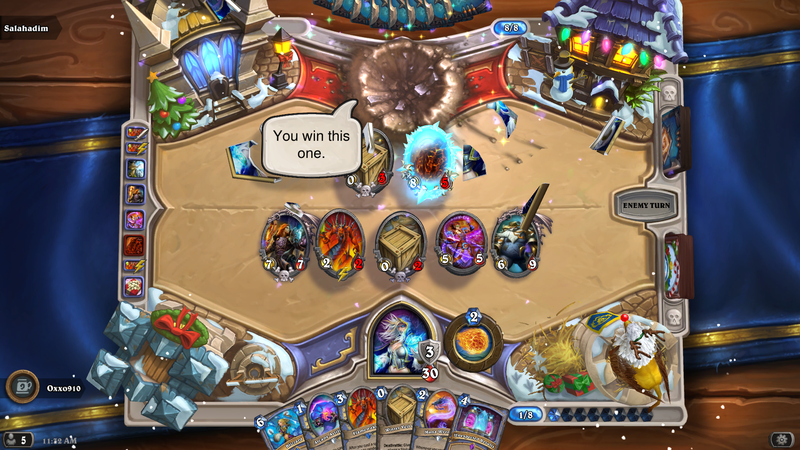 I used a mage deck, but there are some nasty priest and warlock decks (I played one later) out there. This is also a “Wild” rules brawl, meaning those old favorite (really nasty) cards are available. Every card in your library! 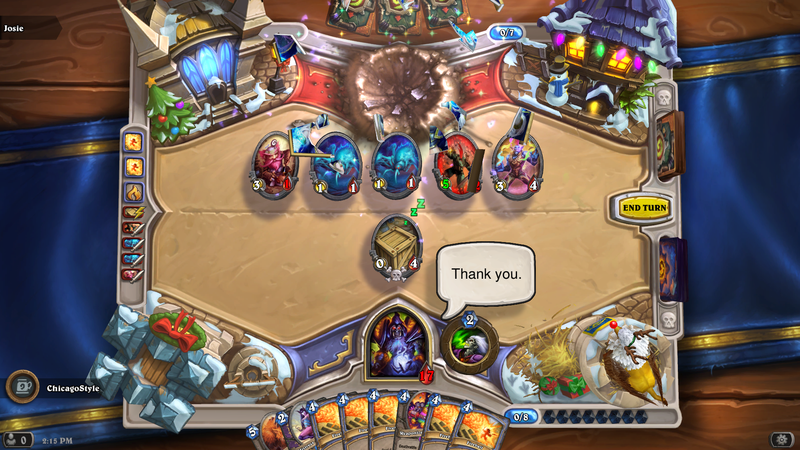 The mage has lots of nifty cards to use. I threw in the Flamewaker, because man I really love this card. I got lucky, and was able to swipe not only my opponents gifts, but most of mine as well. By the time they got something going, it was all over. Winter’s Veil was very, very good to me. If this is your first time playing this brawl, you are in for a treat. Good luck, have fun, and I will see you in 2019! Bonus screen shot: Had to put this in there because it’s evil! 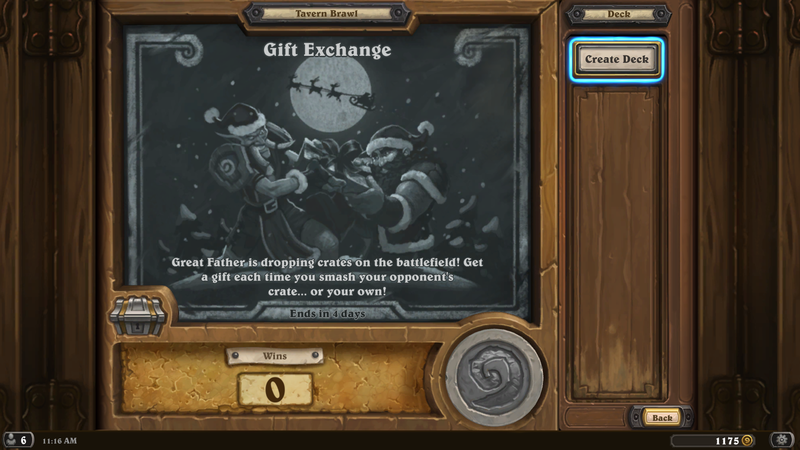 This entry was posted in Hearthstone and tagged Brawl of the week, Gift Exchange, Hearthstone, Tavern Brawl. Bookmark the permalink.